In this tutorial we will show you the easiest way to reset Android on the CAT S60. To achieve this we leave you two different ways, and in just minutes your device will be free of errors and/or locks! Before you start to reset Android, you must charge the battery of your CAT S60 in its entirety and thus prevent it from turning off in the middle of the reset process, since this could damage your battery or your Android operating system. Having completed this step, you can now reset Android in CAT S60 by choosing one of two methods available. 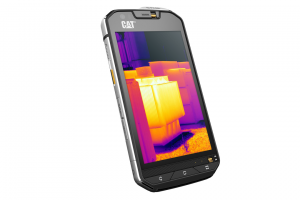 The first one will allow you to do the hard reset of CAT S60 using the Android settings, while the second method will let you return it to its factory settings from the emergency recovery menu. If you have a lock pattern that you do not remember, you will have to use the second method. If you have an IMEI lock or a different Google account previously configured, neither method will serve you. To reset Android to remove errors and slowness in your CAT S60, go to the settings menu and within the option Backup and Restore, you will select Reset Factory Data, and press Reset Phone. When you want to start the process select Delete all and confirm. The reset process will begin and in minutes you will have your phone almost like new. Using the volume buttons, you will navigate in this new menu until the option until you reach Wipe data / Factory reset. Press the power button to select this option. If you had any problems to reset Android in the CAT S60, please leave a comment and our team will help you to solve your doubts. I’m having real problems with my CAT S60 following a requested update today (14/07/2017). After the update the phone asked me to enter my swipe pattern password (as normal) but it hasn’t gone beyond the CAT S60 loading screen. I’ve tried resetting it via the back where the sim goes but still nothing happens. Contacted CAT but there only advise was to send it to them. Not ideal at the moment…. I have a problem with my Cat s60. I cant turn on it. if I try to do recovery , its working ( i mean I can enter to this recovery menu , by volume buttons I can move down and up, but power button for accept is not working. how I can fix it , or what is the problem ?????? Hi I have a CAT the S60, I reset, and after a reboot, I can not run the phone, because this requires access to the Internet, when you connect the error occurs. The phone has become useless, because I can not run it.